The FWATA Public Relations Committee is pleased to announce the Fall 2018 Quarter winner of the Excellence in Athletic Training Award as John Grigsby, ATC. 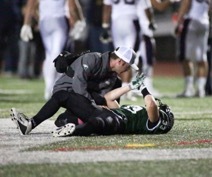 Each quarter, the Excellence in Athletic Training Award celebrates District 8 athletic trainers or athletic training student members who display an exceptional commitment to mentoring, professional development, or enhancing the quality of health care. 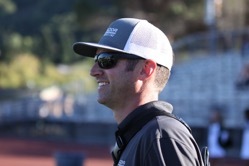 Grigsby is in his 13th year at Miramonte High School (MHS) in Orinda, California where he is the Sports Medicine Instructor as well as the athletic trainer. His goal is to ensure the safety of all MHS student-athletes and provide quality healthcare to the entire MHS community. Please join us in congratulating John on winning the Excellence in Athletic Training Award for District 8!